Heard of Tsa Tsa But Not Sure What They Are? Find Out and See Photos! Tsa tsa are memorials to the dead, molded by monks, that are created from ash collected from funereal cremation pyres. Tsa tsa, a word transliterated from Sanskrit to Tibetan and refers to the miniature Buddha. Tsa tsa are considered sacred objects and they are molded during special religious ceremonies. 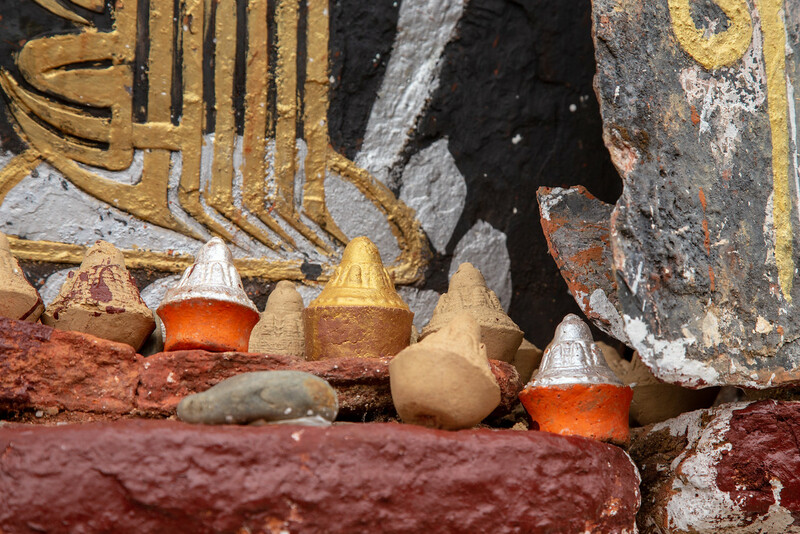 When we arrived in Bhutan, I started noticing all the curious small cylindrical cone shaped objects on stupas, under overhangs of rock and alongside many roadways. 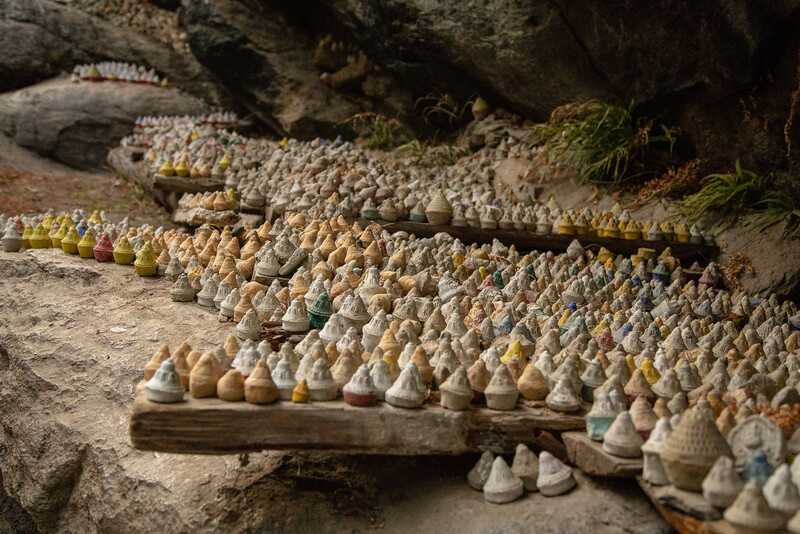 Any sacred or remotely scenic place that was at least partially sheltered from the elements seemed to have hundreds, if not thousands of these three-inch high sculptures. Some were painted gold, others were painted red, but mostly they were either white or natural earth tone. I was fascinated by them and ask Norbu, our guide, what we were seeing he explained the significance these tiny sculptures. He explained that the artifacts, usually 108 of them (a sacred number in ancient Hinduism and carried forward into Buddhism), are commissioned by bereaved Buddhist families as a way of honoring and bidding farewell to their loved ones. The Bhutanese and Tibetan people believe that making tsa tsa is a way of accumulating merits and virtues. After they are created the memorials are given to the families to be placed in sacred places, beautiful places or places that were special to the departed loved one. Making a tsa–tsa is basically the same process as molding with clay. First gather some clay and remove the impurities, add water, knead the clay with ash and put it into a mold, usually made of metal. The molds are usually a reversed image of a Buddha, a stupa or other some sacred symbol. After the clay mixture is molded, it is dried or fired to be hardened. Most that we saw were colorfully painted with or carved with ancient Buddhist writings. I never knew that these coll artifacts exists. Its worth to see it, I’d love to go to Bhutan before the year ends. Bhutan is truly a place full of surprises.